MyTopFace Team recently visited Roque House Salon and we were pretty surprised at how awesome they are! We interviewed the Queen of Rogue House Salon who is hilarious, gorgeous, pescatarian and one of the best professional hair stylists in East Village. – Tell us about yourself and how did your beauty journey begin? My name is Jamielynn @yourlovablehairstylist, and I am the founder of Rogue House Salon. 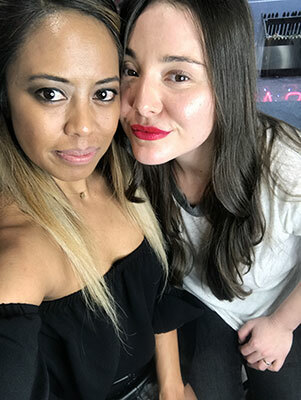 I am a social media influencer in the hair and beauty space and was recently the lead stylist for two New York Fashion Week shows, Vaishali and Cindy Monterior. I have also worked with many influencers and been featured in a few publications. As such, I live and breathe the beauty industry from the inside out and believe I can greatly contribute to bringing some unique beauty insights to light. A little bit about me: I’m a California girl at heart, who moved to New York City ten years ago in hopes of opening my own salon. Since then, I’ve worked my way from the bottom to the top, first hairstyling at 5th Avenue salons and now finally leading my own venture as an entrepreneur and founder of Rogue House Salon in the East Village. I’ve helped top-tier salons (including Ted Gibson and Fox and Jane Salon) build their brand by establishing Balayage and Ombre trends in 2011, creating their managerial systems in order to establish pre-booking and sales retention, and becoming their lead stylist. In addition to working with and being an influencer, I am an Educator for Manic Panic, A Raw Artist and was a Lead Stylist for NYFW shows. We are constantly collaborating with relevant brands including IGK Hair, Alfaparf, Redken, Brazilian Bond Treatment, Olaplex, and Scrupples. – What are the 3 hair products would you recommend for our readers? – Shampoo – sulfate free and color safe, I love ColorProof shampoo, It has a heat protector built in to and retains 96% of the color. Depending on the type of hair you have, I would advise one that caters to specific hair needs. – An enriched conditioning mask. Her dries out and loses protein. I am a fan of Alfaparf Semi Di Lino Reconstruction Reparative Mask, reparative conditioning mask. Leave this on for 5-10 mins depending on the integrity of the hair, once to twice a week. – All-in-one, Multi- Benefits Treatment by Redken. This does everything from, defrizz, heat protector, detangler. It literally has 25 benefits for your hair needs. – How often would you advise to have a haircut to a client who is trying to grow their hair longer? I would advise getting a hair dusting, once a month. This is to take out the split ends and cut, a quarter of an inch off. I would not advise getting an actual haircut. I personally do not trust hairstylist to cut my hair when I am growing it. It is all about the communication with your stylist and if they can get into how you take care of your hair and how you like it done, they would be a good match. – What services do you provide in your salon? Rogue House Salon is known for balayage and hair treatments. We are a diverse group that works on all hair textures. Rogue House Salon is mainly known for hair coloring because we love coloring and we love being artists. – What is the most rewarding part of your job? – Would you get mad if a client cheated on you and then came back to you? Not at all, that just meant, that it didn’t work, like any type of relationship. I’ve actually had this happen to me and I always have open arms when they come back in. Sometimes relationships need a breather. – Is procedure( that you provided for our expert is safe for pregnant and breastfeeding women? As long as it is off the scalp, it is okay. Products have evolved throughout the years and develop a myth on hair products. There are gentle products being used today. 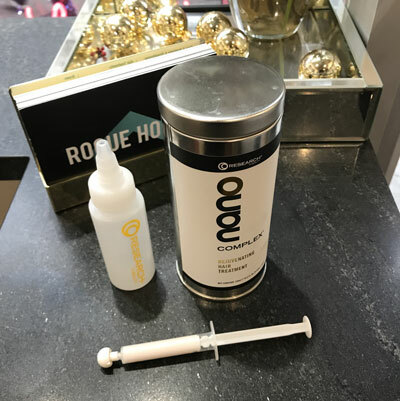 – How long Nano protein treatment results last? The Nano can last for awhile, depending on how well you take care of your hair. It is like getting a facial. How long does it take until your facial last, the answer depends on the hair maintenance. If you are using a mask to protect your hair after the treatment and a heat protector. It can last for a long time. – What you think about using dry shampoo? I am not fond of dry shampoo, you are still adding build up to your hair when it is dirty. My secret to not using a dry shampoo is to use a blow dryer and steam out the oils. Can i of like doing a blow dry while it is dirty but steaming out the grease. I’ve taught this to many of my clients and it has worked well. – What other beauty tips /tricks you use? 1. I like using my conditioning mask or anything rich to shave my legs. You are moisturizing your legs at the same time. 2. The key to long-lasting hair – is to use fewer products the first day. As the days proceed, start with your hair straight and clean the first and second day. On the second-fourth day, re-curl your hair. You may not need to use products in the last days before you wash it. – Why did you choose to name your salon like this? I got fired at a salon and went Rogue. After I have left, I never hired anyone, they all came willingly. It is called “Rogue House” because we are individual artist coming together in a community. – What’s your favorite beauty products? What are your must-haves? I am in love with Fanola, No Yellow and No Orange shampoo. I don’t have to go to the salon and I can tone my hair myself. I also love conditioning treatments, I think it’s important to condition your hair and leave it on. My favorite is the Alfaparf Reparative Mask. – What’s your plan for 2018? 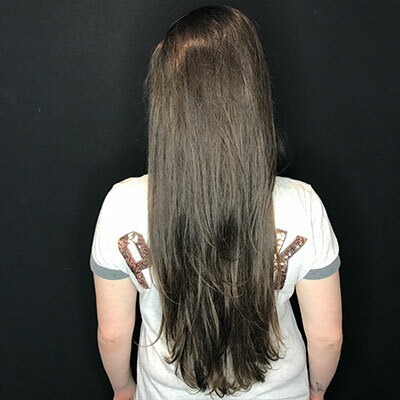 MyTopFace expert likes the result from the visit a lot, and especially Nano Protein Treatment – it’s not only quick, nice and cheap there is also doesn’t smell like keratin treatment. We can’t wait to come back for more services from Jamielynn amazing hands!